La Cala de Mijas is a small, traditional Andalucian village on the Costa del Sol with its pretty village centre and modern hotels. Many people flock to Fuengirola, Marbella and Benalmadena Costa when taking a holiday on the Costa del Sol in Andalucia, Spain. However, there is a great alternative destination in the form of the small fishing village of La Cala de Mijas. The seaside village retains its charming centre, lined with quaint houses and plants, and all close to the beach. Behind the village, a modern area has been built with new apartments, hotels and golf courses. There are several excellent restaurants to choose from. While shopping is a little limited in the town, most of the large supermarket chains are represented, including Mercadona, Supersol, Aldi and Lidl. La Cala, as it is known for short, is a short drive from Marbella and Fuengirola and a 34-minute drive from the city of Malaga and the airport. The town is one of several on Mijas Costa, which are related to the charming white pueblo of Mijas, inland from Fuengirola. The following are notable attractions on a visit to La Cala de Mijas. La Cala can literally brag endless beaches, all well-cared-for and with golden sand. 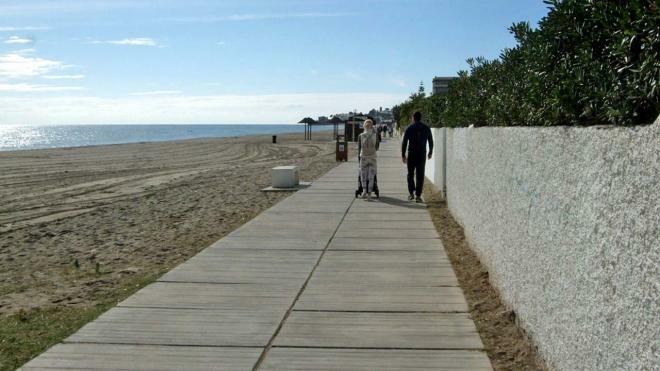 A fairly recent addition is a boardwalk, taking visitors on a walking trip along the coast for 5.6 km all the way to Cabopino. Along the way, visitors will find charming wooden-built chiringuitos (beach restaurants or bars), open in the season and serving good food and drinks. Sun beds and parasols are available as well as toilets. 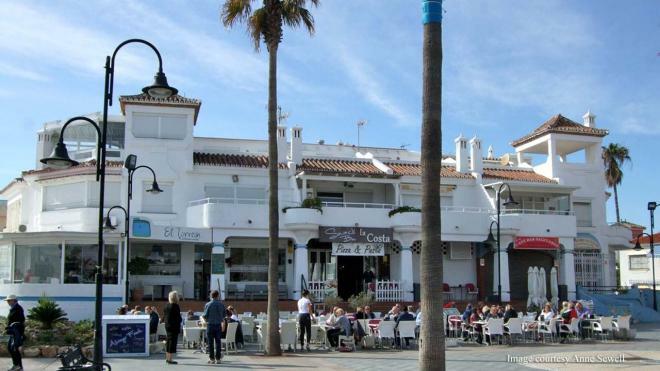 Besides the beach chiringuitos, La Cala has a surprisingly large number of excellent restaurants serving everything from traditional Spanish cuisine to Italian and Indian restaurants and a fish and chip restaurant. Most have terrace dining to enjoy the spring, summer and autumn weather.